Living your best life is expensive, right? Wrong! You can live it up large without breaking the bank thanks to The Warehouse. The one-stop shop has it all with everything from books and vinyl to pot plants and champagne flutes. And, trust us when we say: their home décor has really upped its game—you’ll seriously want it all! Here are 12 of their hottest (and wallet-friendly) finds. 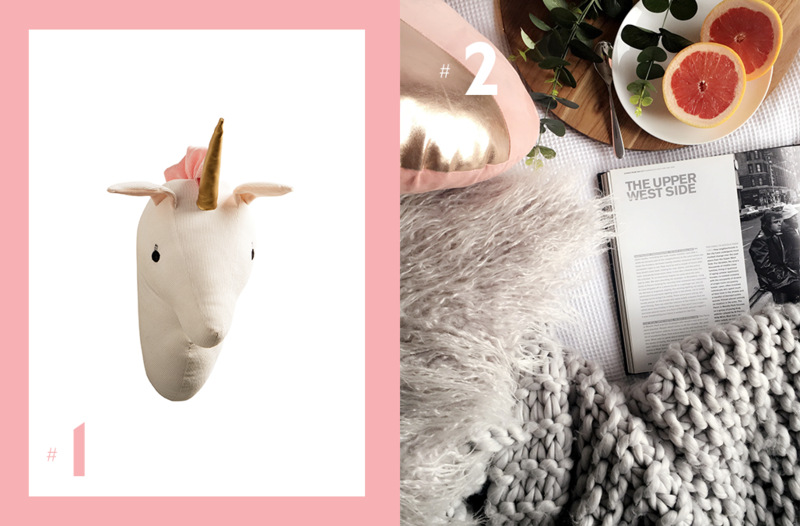 Luxe has no age requirement and for the kids (or kids at heart) you can’t go past this Living & Co unicorn wall hanging. If wolves are more your thing, opt for this cutie instead. Nothing screams winter like snuggling up on the couch with a great book, a new series to binge-watch and a luxe knit without the luxe price tag. This chunky throw will look great thrown over the couch, your bed or your binge-watching body! Dream of being a minimalist but secretly a hoarder? This Living & Co side table was literally made for you. Embrace the minimalism chic trend while secretly hiding everything underneath the removable lid. Winning! Winter is the season for home cooking and/or baking. Lasagne, roast and—of course—decadent puddings…we want it all and we want it now! Cook up a storm with this lust-worthy speckle bakeware. This cute-as-a-button Milazo retro bike will not only take you places but will also keep you stylish getting there. What’s not to love about the mint green, retro frame?! 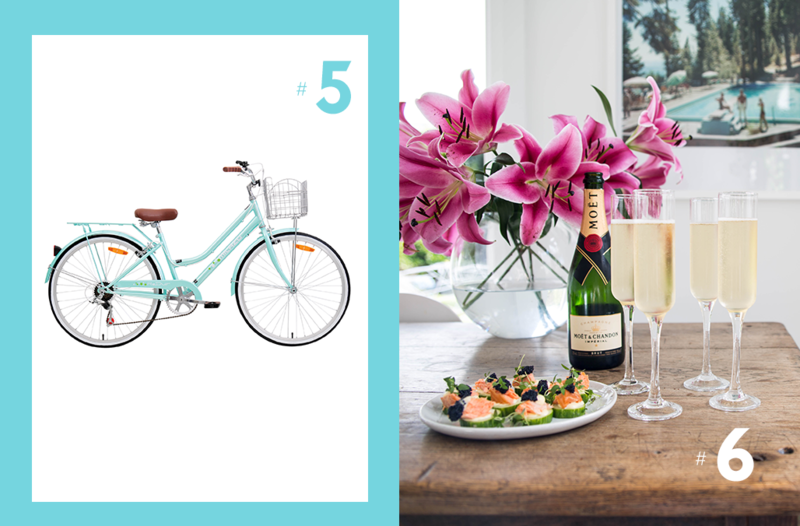 Double points if you pedal around with a bouquet of flowers in the front basket. If you’re all about the champagne life but on a sparkling water budget, you can’t go past these oh-so-chic elongated flutes. And, at this price, you’ll still be able to put your hard earned coin towards real champagne. Let’s toast to that! Viny is having a resurgence and The Warehouse has you covered (without breaking the bank). Their epic range includes everything from Lorde and Amy Winehouse to Kendrick Lamar and Tame Impala. 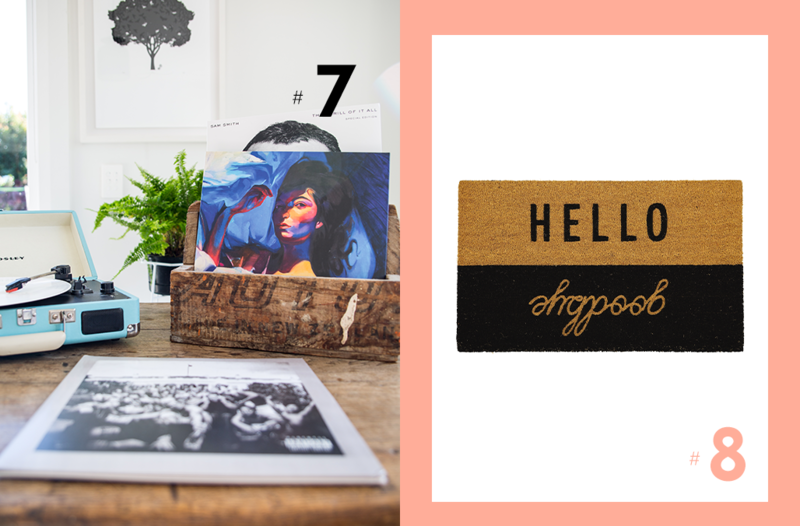 We all know what they say about first impressions, so let’s kick things off on the right foot with Living & Co’s friendly doormat. It’s fun, practical and—most importantly—totally Instagrammable. At-home hosting is all about a delicious menu and even better tableware (move over, Martha). 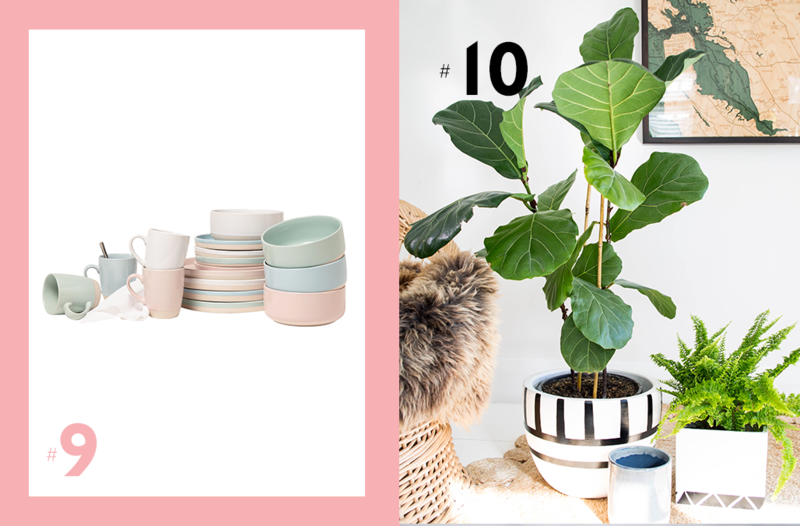 We’re lusting after these Living & Co dipped pastel tableware in a range of dreamy hues—they’re perfect for both entertaining and everyday use. 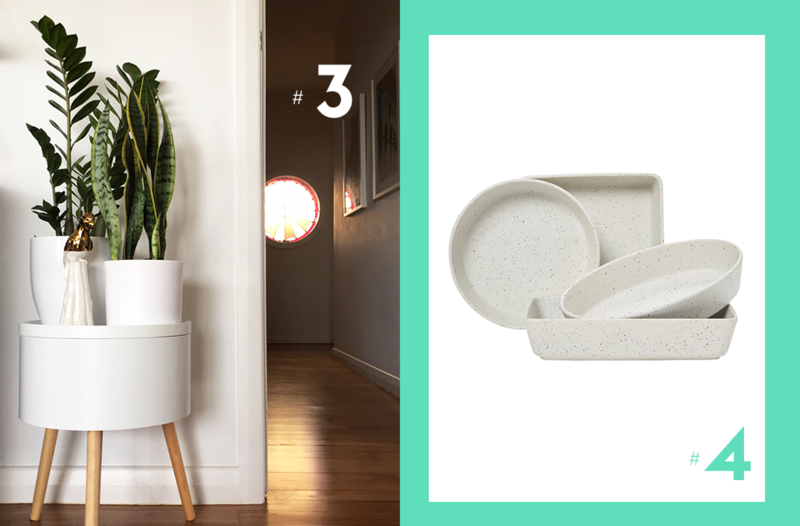 If you’re anything like us, you’re a sucker for indoor plants and monochrome décor. Pop your fiddle leaf in this black and white number from Living & Co. This one comes in both a large or small size. Dim the lights, light a candle and have a looong soak in a hot bath. 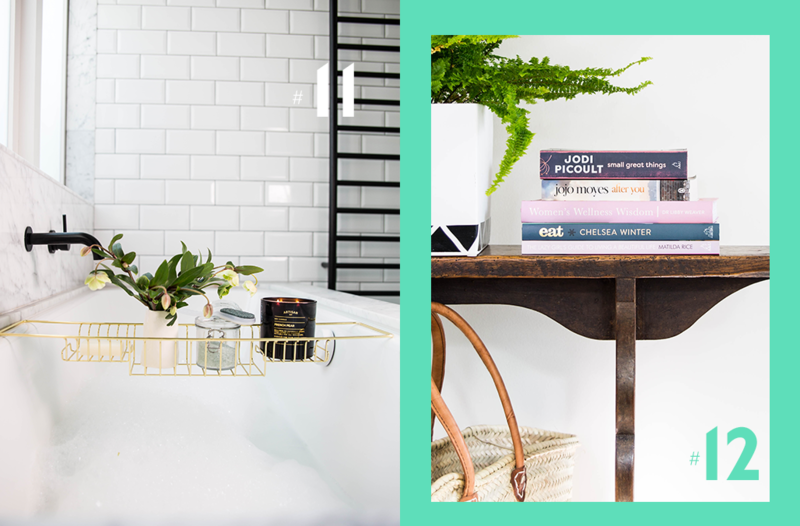 Keep your bath salts and candle dry (and pretty) with this chrome bath caddy from Living & Co.
Ain’t nothing better than snuggling up with a book and a blanket (see #2) over winter. The Warehouse has your winter reading covered with books from Jojo Moyes, Jodi Picoult and Gail Honeyman. Be inspired by Simone Anderson’s Journey To Health and get cooking with Chelsea Winter. Feeling inspired? Visit The Warehouse for these luxe finds and so. much. more. We’ll have one of each, thanks!